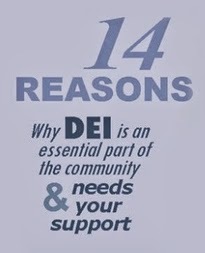 DEI offers an electrical training program is based on a seven hundred and twenty (720) hour curriculum. 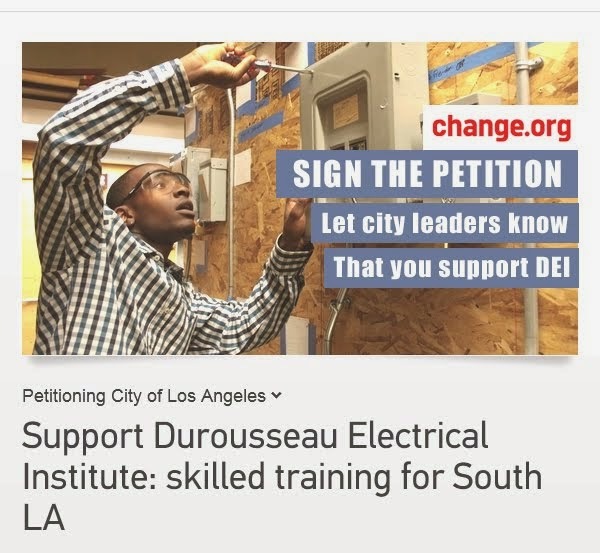 This curriculum is approved and accredited by the State of California and will prepare the students for entry level positions in the electrical maintenance field as well as eighty other career fields associated with the electrical industry. 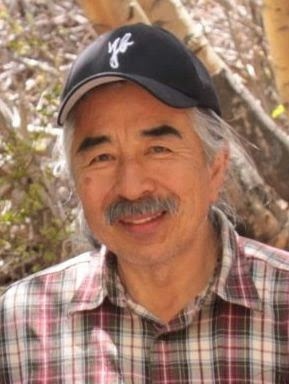 A graduate will satisfy the educational requirements for the State of California journeyman's license. Each student will spend fifty percent (50%) of their course time in the classroom and fifty percent (50%) of their time in actual hands-on lab exercises. In order to maximize each student's learning potential, the classroom ratio is limited to one instructor for every fifteen (15) students. The curriculum is modeled on eight (8) blocks of ninety (90) hours of instruction each, totaling the 720 hours. The students will have the option of either attending classes on weeknights and weekends depending upon their work schedules. The students will finish their 720 hours of training in 15 months. 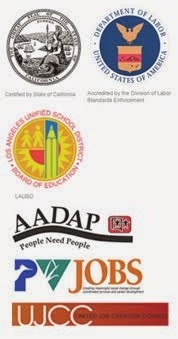 Upon enrollment in the program, the student will be registered with the State of California Division of Apprenticeship, which will allow them to work while going to school and receive credit for hours worked. In order to qualify for journeyman recognition and be able to take the journeyman's license exam, the student must complete 8,000 hours of on the job experience. 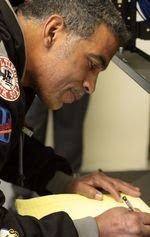 The task is difficult and challenging, but each student is assured that throughout the training process, both in the classroom and out on the job, the instructors and administration of DEI will be totally supportive of their goal. Annual changes in the requirements for installation, alteration, repair, maintenance, testing, service, calibration, and operation of related electrical and electronic systems by journeyman electrician and electrical technicians require additional skills. 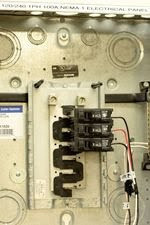 Updates in both legislation and electrical codes has resulted in the adoption of rigorous training standards including safety training, tools and usage, material management, electrical theory, the National Electrical Code (NEC), conduit bending, residential and commercial wiring, electrical systems, devices and motors, transformers, generators, power supplies, controls, prints and specifications, testing, personal development, jobsite management, fire and security alarms, voice, data, TV, signaling systems and fiber optics. The comprehensive 720 hour curriculum covers the required learning outcomes of the four year electrical pre-apprenticeship program. The program includes classroom theory and extensive practical hands-on experience in an electrical laboratory and shop setting. Students earn a certificate of completion for each successfully completed program module. 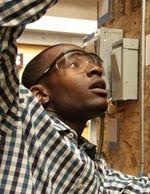 Graduates of the full program, along with the required hours of experience will have been exposed to a variety of real world electrical applications, apparatus, tools and equipment, and will have the necessary proficiency to pass the electrical certification examination and seek sustainable employment in a number of fields requiring skilled electrical tradespeople. The following is the Curriculum for each of the students. This course covers vital and important aspects of electrical safety and accident prevention in the electrical trade. Students learn the importance of safety and safe handling techniques . Students receive training on emergency procedures including first aid, OSHA compliance, and CPR certification. Substance abuse is also covered. This course exposes students to the different tools used in the electrical construction trade. The student will learn to recognize tools by trade name and proper use. 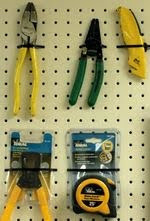 This course introduces students to hand tools, power tools, and motorized tools commonly used in the electrical trade. Proper methods for rigging and digging, as well as handling and management of materials are covered. This course reviews mathematic calculations commonly performed in the electrical trade such as solving for unknowns. Students are introduced to the basics of electrical calculations including Ohms law, power equations, and calculations for conduit bending. This course introduces students to fundamentals of electrical theory. Ohm’s Law, Kirchoff’s law, Norton’s and Thevenin’s theorems, magnetism, voltage, resistance, inductance, capacitance, units of electrical measurement and basic electrical math are covered. Students will study concepts of energy, inductance, capacitance, as well as circuits (series, parallel, combination, and basic fire alarm circuits). 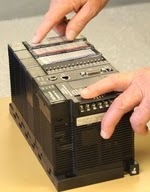 Use of electronics in the electrical industry is also covered. Students will learn techniques for studying and testing. 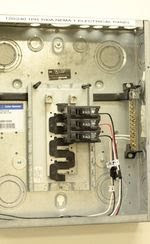 Meters and test equipment is used. 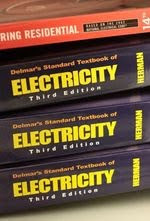 This course covers the complete National Electrical Code (NEC) book. Students will study code requirements for residential, commercial, and industrial installations. Students develop calculation and layout techniques required to accurately and efficiently bend conduit. This course covers purpose, intent, and scope of electrical code; including code requirements for conductors, conduit, raceways, panelboards, switchboards, lighting systems, overcurrent devices, grounding systems, blueprints, specifications, transformers, motors, and testing. 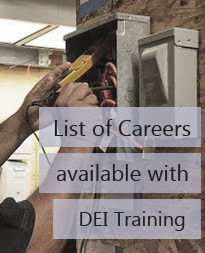 This course provides an overview of the work roles within the electrical construction industry. It familiarizes students with industry organizations, discusses best practices for working with others, and introduces economic considerations of persons working in the trade. Jobsite management, scheduling, job planning, and supervision is also covered. This course allows students exposure to various specialty systems including: fire alarms, security alarms, voice-data-TV and signaling systems, lighting protection systems, fiber optics, heating air conditioning and refrigeration, and photovaltaic systems.. This course allows students practice simulating electrical projects in a lab environment using industry tools, materials, and methods (voltage reading, diagrams, support building, conduit bending, wire-up, electrical calculations, and fabrication). Use of A/V Lab is permitted.